When added to cooled water SMART CUT™ synthetic water soluble coolant or Mineral Oil will improve your overall diamond drilling and diamond machining operation by as much as 30%. Plain water evaporates at 212 F. Often temperature in your drilling zone reaches as much as 500 degrees F. Often water evaporates, before it has a chance of affectively cooling the diamond drill and material being drilled. Resulting in shorter Diamond Drill Life, Material Damage or micro cracks associated with overheating. Water may cool your diamond drill, yet provide poor lubrication properties needed for optimum drilling results. Stream of SMART CUT coolant added to deionized (DI) water reduces material thermal stress, edge damage, and internal cracking, assuring long-term integrity of material being drilled. Since SMART CUT KOOL is a coolant and lubricant, both the diamond tools and material benefit. 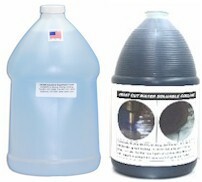 For Example: 1 quart of coolant will give you 5.7 gallons of coolant. When mixed with water. 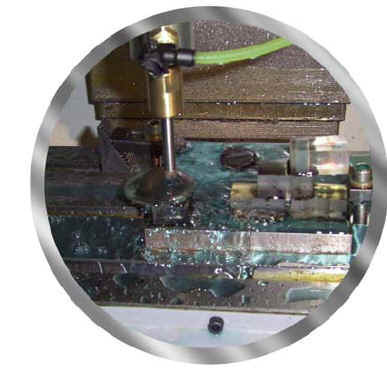 Coolants increase productivity and the quality of material holes or center core parts. 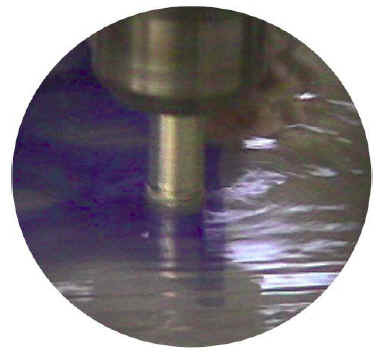 Coolants increase the time interval between tooling changes. This saves the company money by reducing the number of tool or die changes needed. Tooling changes require the shut down of the production lines, therefore less tooling changes will increase productivity. Modern coolants must fulfill two primary functions: cooling and lubrication. Both of these functions are important, but their relative importance depends on the type of operation and material being processed.